Internal Revenue Code Section 529 was enacted in 1996 to allow interest, dividends, and capital gains that occur under mutual fund-like wrappers to be tax-free if the entire fund is spent on qualified educational expenses. The 2017 Tax Act expanded qualified educational expenses to include up to $10,000 per year for kindergarten through 12th grade tuition, beginning in 2018. There are many misconceptions and thousands of mistakes made with respect to 529 plans. The following list and explanation should be helpful to many. #1. Contributions to a 529 Plan are not deductible for federal income tax purposes. Additionally, no deduction is earned when monies are withdrawn to pay for expenses. The growth in value within the plan is not subject to income tax, except to the extent spent on items that are not qualified educational expenses. #2. A 529 college savings plan is different than a prepaid tuition program. Even though both of them are established under Internal Revenue Code Section 529, there are some differences. Many families will invest in both prepaid tuition and 529 college savings plans so that a child will have tuition, room and board paid partly or wholly under the prepayment plan and permitted living and other educational expenses paid from the college savings plan. #3. Any person can choose any college plan form any state. While each state has one or more College Savings Plans that it sponsors and permits, any person or trust entity can choose to invest in any state’s 529 College Savings Plan. There are often good reasons to use a state other than where the person resides, this includes costs, whether a chosen financial advisor works with that Plan, and whether the state has a statute that prevents creditors from reaching the Plan. The creditor law that applies in the owner’s state of residence will most likely apply; however, this is not always clear or firmly established. So, it is best to reside in a state that provides for protection from creditors as well as purchase a Plan sponsored by a state that also has legislation which protects 529 Plans from creditors. #4. Don’t always save on the lower side. While many advisors believe that the 10% excise tax and ordinary income rates will apply for 529 Plan withdrawals, this may not always be the case. Even 529 Plans that are used completely for non-educational purposes offer some tax advantages will often be preferable to the tax treatment of variable annuities and certain other investment vehicles. Let’s take an example that illustrates how the tax treatment works. Mary invests in a 529 College Savings Plan for her daughter, and puts $100,000 into the Plan. It grows to $150,000 before it has been used. Mary spends $50,000 on her daughter’s education, but no more is needed because her daughter marries a lottery winner and decides not to pursue a post-graduate degree because her MRS degree is sufficient. Mary then withdraws $10,000 from the Plan to pay for her expenses in attending the wedding. The $50,000 of growth that the Plan had is considered to remain in the Plan and to not come out when qualified educational expenses are paid. This means that Mary’s plan now has $50,000 of “cost basis” and $50,000 of “untaxed income.” The original $100,000 of cost basis was reduced by the $50,000 of expenses that were paid.Mary does not have to pay income tax or the 10% excise tax on the entire $10,000 that she withdrew to spend on the wedding. The income comes out pro rata to value, so the $10,000 distribution carries out $5,000 of income and $5,000 is a return of principal. In addition, the 10% excise tax applies to the $5,000, so Mary pays income tax based upon her normal bracket, plus an additional $500 excise tax. Assume that three weeks later there is $90,000 in the Plan and Mary withdraws another $10,000. The ratio remains the same. If Mary had instead invested in a variable annuity contract, the 10% excise tax would have applied to the first monies out unless Mary is over 59-1/2, because then there is no excise tax for pulling income out of a variable annuity. #5. Assuming that the Plan has to be Spent on the Child Initially Designated. The 529 plan rules do not require that distributions be made only to the child that was initially designated to receive them. The rules also permit changing the intended beneficiary to an alternate beneficiary annually. The 529 Plan may also be separated into different 529 plans, which can be designated for separate individuals. #6. A 529 plan does not belong to the individual for whom it is designated. 529 Plans can actually be considered to belong to the individual who funded and controls it. This applies notwithstanding that the 529 Plan will not be subject to estate tax if it has been considered to be a gift for the designee, making it the only mechanism that allows someone to own an asset that will not be considered as owned by them for federal estate tax purposes. 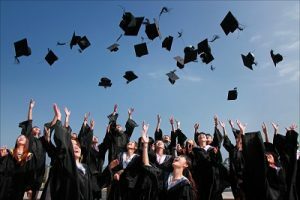 What makes a 529 Plan even better for many taxpayers is that the $15,000 per year gift tax allowance permits an election to be made to consider a 529 Plan acquisition to be a gift allocated equally between the year of the transfer and the four subsequent years by the filing of a gift tax return. In other words, grandma and grandpa could put $150,000 into a 529 plan for their grandchild and consider this to be a gift of $15,000 from each of them in the year of purchase and the four subsequent years. They can therefore fund the 529 plan for their grandchild and not have any reduction of their $11,180,000 estate tax exemption (which is scheduled to go to one-half of the inflation-adjusted amount in 2026) while having $150,000, and the growth thereon, out of their estate beginning in the year of transfer. #7. 529 Plans can be owned by family LLCs, irrevocable trusts, and other entities. For many affluent taxpayers, it is preferable to use the $15,000 a year annual gifting exclusion for discounted gifting of family limited partnership, LLC, and other interests because much more value is transferred when discounts are used. For example, an estate taxable taxpayer who has $10,000,000 worth of assets in a family LLC might gift a small percentage of the LLC interest each year to a trust for a grandchild, reporting this as a $15,000 gift. This will move more value out of his estate over five years than a single front-loaded 529 Plan, assuming equivalent rates of return. The family LLC can purchase a 529 Plan for whatever amount may be needed for tuition, college, and graduate school so that all of the income tax savings from the 529 Plan is maximized, while estate and gift tax avoidance is also best handled. Alan S. Gassman J.D., LL.M. (Taxation), Florida State Bar Certified Specialist in Wills, Trusts & Estates, AEP (Distinguished) is a partner of Gassman Law Associates in Clearwater, Florida. Mr. Gassman is a Florida State Bar Certified Legal Specialist in Wills, Trusts and Estates Law and a member of the National Association of Estate Planners and Councils. Mr. Gassman graduated from Rollins College with a B.A., with distinction, in Business Administration and Accounting. He went on to earn both his J.D., with honors, and LL.M. in Taxation from the University of Florida. He is currently licensed to practice law in the state of Florida. Mr. Gassman is currently a Fellow of the American Bar Association, a member of the National Association of Estate Planners and Councils, and a member of the Florida State Bar Association. He is a former member of the Board of Advisors of the Journal of Asset Protection, a former Law and Leading Attorney, and the past President of Pinellas County Estate Planning Council. Mr. Gassman has received numerous awards and honors, including an AV® Preeminent Peer Review RatingSM by Martindale-Hubbell® a Who’s Who in Science and Industry and Law and Leading Lawyers, and a Who’s Who in American Law. He is also rated as a Florida Super Lawyer, a Tampa Bay Top Lawyer, and a Florida’s Trend Top 1.8% of the Best Lawyers in Florida. 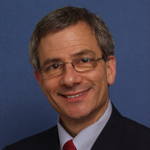 Mr. Gassman has authored more than 200 articles in national publications, symposia and law school text books on physician planning, estate tax planning and income tax issues, problems and solutions. 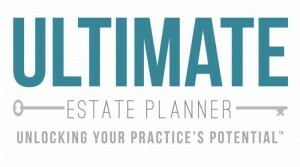 He is a contributing author for Leimberg Information Services and the National Association of Estate Planners and Councils. He was also a contributing author for the American Law Institute-American Bar Association Practice Checklist Manual on Advising Business Clients. Mr. Gassman is also a frequent lecturer and was the co-chairman and presenter for the Florida Bar’s annual Physician Representation seminar and the vice-chairman and presenter for the Florida Bar’s annual Wealth Conversation seminar.